Interview with Robert Santos-Prowse, chatting about combining concepts from the Mediterranean diet with the keto diet. Keto isn’t all about eggs, bacon, and cheese. Heck, of those three “keto things,” I’m sensitive to two of them. To me, keto is more focused on a high intake of saturated fats, monounsaturated fats (MUFA) and omega-3 fatty acids, all from whole food, nourishing sources. However, MANY ketogenic people have a lopsided intake of their fats, consuming far too many saturated fats, trans fats and omega-6 fatty acids, and not nearly enough heart-healthy monounsaturated fats (think: avocado oil, olive oil) and omega-3 (think: salmon and low-mercury fish). The problem lies in your macro intake. As I outlined in this video on the the problems with the ketogenic diet, so many of us focus solely on our macro intake and less so on micronutrient density and food quality. This is where we can run into issues such as inflammation, wonky blood markers, weight stalls, hormone dysregulation, and more. In today’s podcast, we’re chatting about the foods that don’t always make it into the standard ketogenic diet, things like non-starchy veg, extra virgin olive oil, and fatty fish, and why they’re important to our overall health and wellness. If you’ve been following the Fat Fueled Protocol, you’re well versed in using whole foods and a variety of nutrients to thrive on your ketogenic diet. Today’s interview is with the author of The Ketogenic Mediterranean Diet, Robert Santos-Prowse, who has combined nutrient density and lifestyle factors of the Mediterranean Diet with the standard ketogenic approach. The ketogenic diet is explained in simple terms, all backed up by research and without unnecessary pseudo-science. 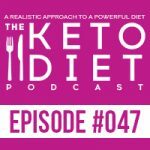 Leanne Vogel: You’re listening to Episode Number 47 of The Keto Diet Podcast. 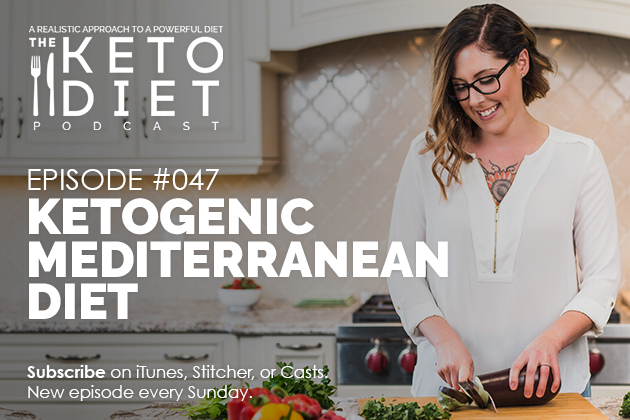 Today we’re chatting about combining the Mediterranean diet with keto, increasing the sustainability of keto by doing so, Mediterranean keto foods, and so much more, so stay tuned. Hey guys. The show notes and full transcript for today’s episode can be found at HealthfulPursuit.com/podcast/e47. The transcript is added to the post about three to five days following the initial air date of this episode. Let’s hear from one of our awesome partners. 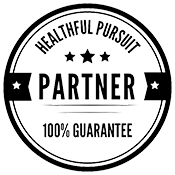 If you have an idea for a podcast episode, or you want to submit praise over and above the review, which you can leave by going to HealthfulPursuit.com/review, you can reach me at info@ketodietpodcast.com. No announcements today, so we’re just going to started. Our guest today is Robert Santos-Prowse. He’s MS, RD, is an American registered dietician specializing in the ketogenic diet and the role it can play in health and wellness. He is passionate about education and science advocacy. So, I’m really excited to have him on the show today. Let’s cut over to the interview. Hey Robert. How’s it going? Robert Santos-Prowse: Fantastic, Leanne. How are you today? Leanne Vogel: I’m good, thank you. I’m really good. For listeners that may not be familiar with your work, why don’t we start off by you telling us a little bit about yourself. Robert Santos-Prowse: Sure. I am a registered dietician that works primarily in Tennessee. I do speak with some people virtually and do some online counseling, but I am from Tennessee. I work in northeast Tennessee. I have degrees in communication, human nutrition, and clinical nutrition. I have been a practicing clinical dietitian for almost two years now. I got interested in the ketogenic diet when I was in graduate school. My biochemistry professor introduced me to it, and I just kind of fell in love and have been researching it and following it ever since. In January of this year, I released by first book called The Ketogenic Mediterranean Diet, which is basically exactly what it sounds like. It’s a mash up of a very low carbohydrate, high fat diet with heavy Mediterranean influences. Leanne Vogel: And for people that may not be familiar with the Mediterranean diet, in some ways the ketogenic Mediterranean diet is almost like an oxymoron a little bit because when I think of Mediterranean diet, I think high in more plant-based oils, lower in animal based oils. Ancel Keys definitely comes to mind as somebody that’s promoted the Mediterranean diet, at least originally. So, how have you merged keto and Mediterranean together? Robert Santos-Prowse: Yeah. They definitely have areas of overlap natively because the Mediterranean diet, while it does traditionally include a lot of whole grain products and more vegetable oils, it does also have high proportions of fatty fish where you get a lot of your calories from fatty fish. It includes a lot of olives and olive oils, avocados are used heavily in the Mediterranean diet. Mainly by dropping the grains and some of the fruits, it is easy to merge a Mediterranean diet into a ketogenic diet. And because most of your listeners are going to be more familiar with a ketogenic diet, basically a Mediterranean diet is a diet pattern that is … A traditional Mediterranean diet is one that’s high in whole grains, high in fruit and vegetable consumption, low red meat, higher lean proteins. But then also proportionately, versus what I would think of as a standard American diet, it has a higher fat intake, which primarily comes from monounsaturated fats like olive oil, and then also fatty fish like salmon and sardines. Leanne Vogel: Can you really get upwards of 80% fat by not eating a lot of the ketogenic foods that then wouldn’t be “allowed” on a Mediterranean diet. I’m thinking tallow, lard … all those things aren’t part of a Mediterranean diet, so how would one hit 80% fat by eating fish, which is really high in protein also, and avocados, which is not high in carbs but they definitely have carbs. Same with olives. How have you adjusted things to make it work for both? Robert Santos-Prowse: Yeah. You do have to include some more traditional ketogenic foods such as … You use more butter in the diet plan. You use more eggs. You switch those out for the things that would not fit in the ketogenic diet, such as the grains and the fruits. As far as avocados with their carbohydrate content, I’ve found personally, and I know that you’re a big proponent of listening to your body and doing what works for you, as am I, I found personally that I can actually use the net carbohydrate calculation method to determine whether or not a food is going to have an insulin response and raise my blood sugar and be a problem for a ketogenic diet. Avocados are mostly net neutral as far as carbohydrates go. Leanne Vogel: Yeah, I agree with you. I could eat all the avocados and it doesn’t affect me much. Robert Santos-Prowse: Yeah, which is fantastic. Robert Santos-Prowse: It’s really the lifestyle aspects of the Mediterranean diet. It’s a bit of a misnomer to refer to what the health community loves about the Mediterranean lifestyle as just the Mediterranean diet, because as a indivorcable aspect of it, there is a sense of community, regular physical activity, some form of stress management, sleep hygiene habits, and all of those things are things that I was already trying to practice in my life. I thought that, traditionally, the focus on the ketogenic diet is just so drilled in on diet and sometimes ignores all other aspects of lifestyle. So, I thought it would be really beneficial to combine the ketogenic diet with a type of lifestyle pattern that includes those things, and also allows you to have really delicious recipes. You know? Leanne Vogel: So it sounds like the difference between the standard ketogenic diet and more of bringing in some Mediterranean influence mostly comes from the lifestyle aspects of the Mediterranean diet? Robert Santos-Prowse: Yeah, primarily, because the ketogenic diet is, by necessity, not very forgiving to alteration. At the end of the day, you have to restrict carbohydrates to a certain amount in order to induce ketosis in your body. So, you can modify where the carbohydrates that you get come from, and what types of fats that you’re getting, but you really don’t have a lot of room to modify the ketogenic diet outside of the total carbohydrate limit for a person. So lifestyle and what type of carbohydrates, what types of spices that you’re using in your cooking and what types of fats that you’re taking in are the areas that I see being able to tweak. Leanne Vogel: I have to ask you more of the Mediterranean influences not eating animal fats. What’s your stance on that with the Mediterranean ketogenic approach? Because you mentioned increasing butter and you talked about eggs. I’d love to get your feel on … do you eat lard? Robert Santos-Prowse: I don’t eat a lot of lard. I don’t necessarily think that there’s a problem with it. I just don’t personally cook in a way that allows me to use it that often. As far as proportion of fat goes, with animal versus plant based, saturated versus poly versus mono, I think that the best research — and I have to give the caveat that it’s really difficult for us to make predictions about how the body deals with fat because almost all the studies that do that are based upon carbohydrate metabolism. When you’re in ketosis, it’s a totally different metabolic state and your body is dealing with fats in an entirely different way. We just don’t have as much evidence as to what the body is doing with fats in that case, and what the long term outcomes are. Having said that, it looks like the best case scenario would be to get the primary proportion of your fat intake from monounsaturated, and then saturated, and then try to keep poly still at the bottom. Leanne Vogel: I guess that that would differ between different people. I know that I feel mildly okay on monounsaturated fat. Like I do have quite a bit of it, but if I don’t get enough saturated fat, I notice within a couple of days. It’s so interesting, and I think this goes back to the individuality and bio-individuality of an individual, is that works for one isn’t going to work for another. I think it’s really cool that within the ketogenic diet and that space, you found … Specifically I really enjoy the lifestyle piece that you’re talking about of … Yeah, the ketogenic diet talks a lot about macros. You can hit your macros using a lot of foods that, I mean, I would never even put in my body. It’s really interesting that you’ve used a bunch of different lifestyle factors to create this different protocol. You mentioned a little bit of lifestyle, but I’d love to get into that a bit more. What sorts of lifestyle practices do you find are super beneficial within this protocol? Robert Santos-Prowse: Sure. In the book, I mention smoking cessation as one of the easiest things to do for your health, but I think we can take that as a given with your community being health conscious. Moving on from that one, sleep hygiene is something that I think is really overlooked. Getting enough and good quality sleep. By sleep hygiene, I mean things like keeping the room that you’re sleeping in dark and cool and trying to sleep in appropriate cycles so that when you wake, you’re not waking in the middle of one of your deep sleep brain wave cycles to get the most regenerative and most resting quality out of the sleep. Regular physical activity is something that I think that is often overlooked, and not as a weight loss tool, but as a wellness tool. The studies that indicate that regular moderate to vigorous physical activity provide benefit across almost every metric that we look at from a health and mental well-being perspective is just staggering. Including physical activity, and then a sense of community is another one that I talk about that I think is a big deal. Traditionally in the Mediterranean region and in the Mediterranean lifestyle, it’s a big sense of family, but that’s not always something that everyone has access to. It’s just finding some sense of belonging and some sense of community, which I’m sure the listeners to this podcast already feel like they have in the community that you’ve created for them. But I think it’s an overlooked aspect of lifestyle that can make a really big difference in how you feel day to day. Robert Santos-Prowse: Oh, yeah. I’m right there with you. I have an almost seven month old daughter. Leanne Vogel: Oh, yeah. I feel like they’re exact … Puppies and children until a certain age. It’s a lot of work. Robert Santos-Prowse: Yeah, a lot of work and a lot of sleep deprivation. More of my interview with Robert Santos-Prowse after this message from one of our podcast partners. Let’s talk a little bit about sustainability. I know that when I studied the Mediterranean diet forever ago, sustainability was a big piece of the puzzle with the Mediterranean diet. I could see that combining keto with the Mediterranean could maybe make the diet a little bit more sustainable. Robert Santos-Prowse: Sure. If you look at the body of research that exists from a clinical perspective for the ketogenic diet, or therapeutic aspects, and there is a lot of it across a lot of disease states. Researchers have looked at obesity management and diabetes management. Even things like Parkinson’s disease and Alzheimer’s are being looked at as possibly having benefit from a ketogenic diet. The number one limitation across all of the studies that I’ve read is compliance. A traditional ketogenic diet can be very difficult to follow because of how restrictive it is. If you are following a traditional ketogenic diet and one that is, as I see online a lot, where it’s primarily bacon and butter, you can get fatigued by your choices very quickly. No matter how much you enjoy bacon and butter, if you eat nothing but that for two weeks, three weeks, a year, you’re going to get tired of it. So my goal with the incorporating aspects of the Mediterranean diet was to maybe broaden some horizons of what could be included, what types of spices you could use in cooking, and what types of vegetables and fatty fruits, like olives, that you could include that would increase your choices so that you could vary your diet a little bit more and you wouldn’t feel so stuck. Robert Santos-Prowse: Yeah, and then you get into this terrible cycle where you, or at least I did, where you’re strict keto for a week, maybe two, and then you go on a crazy carb binge, and not high quality carbs. And then you get back into keto strict, and sometimes the transition can be a little difficult so you’re just kind of punishing yourself trapped in this keto carb purgatory. Leanne Vogel: Yes. Keto carb purgatory, yes. Let’s chat a little bit about a day in the life. People are like, “What? So, if he doesn’t eat bacon and butter, what exactly does he eat?” Can you go through kind of what you would eat on a ketogenic Mediterranean diet in a day? Robert Santos-Prowse: Yeah, absolutely. I personally do not eat anything for breakfast. I typically skip breakfast because I’ve just found that works the best for me. But, if you are someone who wants to include breakfast in your diet, it’s really easy. You can make something like a frittata and include Kalamata olives, artichoke hearts and cheese, of course. Use olive oil for the pan coating. Include red bell peppers and diced asparagus. And then that way you have something that does have a few carbs in it per serving, but also quite a bit of fiber and quite a lot of flavor because of the variety of vegetables that you put it in. You could also easily make omelets and include things, again, like olives, feta cheese, various Mediterranean spices like sage and thyme. That’s breakfast. Breakfast has a lot of options. Not only eggs. You can, of course, also do avocados with sardines. You can do low carb bread, which I’m sure your readers have access to a variety of recipes for those. So that would be breakfast. For lunch, you can make yourself a really great Greek salad. For those who are unfamiliar, a Greek salad typically is Romaine lettuce, or lettuce green mixture, whatever you want, and then and pepperoncinis, Kalamata olives and quite a lot of feta cheese. And then you can also include salmon with that, or you can include chicken if you’d like to, or tofu if you’re a vegetarian. And then douse that in olive oil, put salt and pepper on it, and it’s delicious. Dinner, of course, affords quite a few opportunities for fat and vegetables as well. You can just steam up some broccoli. You can do salmon that’s flavored with fennel or dill. You can make yourself a quick tzatziki, which is a yogurt based Greek dressing that includes dill. It’s light and fresh and prepares really well with salmon. I don’t want to give the impression that you’re only eating fish, though. Fish is an optimal choice for someone on the ketogenic diet because it does have a good ratio of protein to omega-3 fatty acids. But if you’re not inclined for that, you can always sub chicken or even occasionally beef if you’d like to. Leanne Vogel: Okay. I have a bunch of questions that came up while you were going through stuff. Would it be possible to do the Mediterranean ketogenic diet without dairy? Because you’re limited to the types of fat that you’re eating based on Mediterranean protocols, could you do it without dairy? Robert Santos-Prowse: Yeah. You could. You could not follow it quite as strictly as is in my book, but that’s not entirely necessary. As we mentioned many times, it’s about individualization. Finding something that works for you. If you’re taking out the cheese and the yogurt, then you would want to probably replace that with more olive oil. Of course, if you’re taking out the butter, you’re going to need to replace that with more olive oil just for cooking purposes. Coconut oil is also a really great replacement for dairy products. Actually, if you don’t mind, do you want to take a detour and vent a bit about the American Heart Association’s coconut oil debacle? Leanne Vogel: Yeah. I did a video on that as soon as it came out, and I just … I mean, it doesn’t surprise me. It’s just if all of a sudden the US started growing coconuts and coconut oil was prevalent in the US, guaranteed the American Heart Association would be like, “We support coconuts,” because now they’re getting paid for it. So, that’s my thought. Robert Santos-Prowse: Right. The thing that irked me about it was that it’s … So they said that they reviewed primarily seven randomized control trials. None of those trials were in the context of a ketogenic diet. They all just looked at LDL cholesterol, which is not enough information. Robert Santos-Prowse: Yeah. LDLP needs to be looked at. Yeah. I thought it was a politically motivated, frustrating manipulation of evidence. Leanne Vogel: Yeah, and the scary thing is a lot of people trust these people. Robert Santos-Prowse: Oh, yeah. I mean the American Heart Association has a really great name recognition. A lot of people trust it without necessarily looking any deeper into the politics there. Leanne Vogel: Yeah. It is really … I don’t know. I use coconut oil all the time. I didn’t stop using it once I read that. I think what scares me the most is that people, like you said, they’ll just do what these associations say. I think it’s so important, regardless of it’s an association or a podcast or a book that you’re reading, if you’re like, “I don’t know,” you should probably trust that I don’t know and do what you think is right for your body because we can talk all day about nutrition and how helpful these things are that we’re talking about, but we don’t know the people that are listening. We don’t know what their lives are like, and I think it really becomes your responsibility to listen to your body and do what you feel is right. To me, the right thing is, for my body, is to continue to eat coconut oil. Robert Santos-Prowse: Yeah. You know, we saw how well listening to the USDA’s recommendations about low fat diets worked out for the American people over the past 30 years, right? Obviously, big government and trade organizations don’t always have the answers for you specifically. Leanne Vogel: You did mention that you were heating olive oil. I just want to be clear on the smoke point of olive oil, because that’s definitely worth mentioning if people have inflammatory conditions or such that it shouldn’t be heated past 320 degrees Fahrenheit, or 160 Celsius. Do you agree with that or no? Robert Santos-Prowse: Yeah, no. Absolutely. You have to keep in mind what oil is appropriate for your heating application because if you heat past a certain point, then you start to get oxidative damage. And then when you put that in your body, you get increased free radicals. Like you said, it’s an inflammation problem. Olive oil is best enjoyed not heated as a dressing or as a base for dressings or included in soups. That kind of thing. It can be useful for low heat cooking as well. So, I’d love to pick your brain just on why the Mediterranean diet doesn’t support red meat. I really enjoy red meat, and I know there’s probably some people listening that are like, “How could you do without it?” I’d love to just pick your brain. Doesn’t mean that we’ll agree on it, but I always love having people on the show that can share what they do to make their body feel best. So, I’d love to understand why no red meat, or very limited anyways. Robert Santos-Prowse: Traditionally, likely the reason that the Mediterranean diet as we know it de-emphasizes red meat is because it was, in part, designed by Ancel Keys. If we’re being totally honest, there’s no one Mediterranean diet. The Mediterranean region includes several countries and several different cultures. Those people all eat in various ways, but when the Mediterranean diet was being marketed as a health diet, it needed to be consolidated. Because Ancel Keys was one of the ones doing that, he had his campaign against saturated fat and fat in general. Red meat tends to be more concentrated in saturated fat and fat in general. So that was de-emphasized. In the context of the ketogenic diet, and in the context of individuals changing it for their own personal well-being, you can include red meat if that’s something that makes you feel good and it doesn’t negatively affect your health markers. Leanne Vogel: Awesome. Cool. Okay, then we totally agree. Leanne Vogel: You never know, you know? I just really love asking people questions that challenge what I believe to be true for my own self, and that’s really how we learn. Otherwise, I’d still be vegan and I just am constantly evolving. Speaking of vegans, Mediterranean diet, can it be converted to a vegetarian or vegan diet? You mentioned if you’re vegan … Or sorry, if you’re vegetarian, do this. What are your thoughts on that? Robert Santos-Prowse: I might have a narrow view on this, but I think that a vegan ketogenic diet of any kind would be just so difficult to maintain. I think, technically, you could work it out on paper to get your macros right and to still include a variety of foods, but not a great variety, because in a vegan diet, it’s going to be really hard to get enough fat without just eating oils, avocados, and olives. Technically you could do it, but I don’t think it would be enjoyable. Leanne Vogel: Yeah. I do know quite a few keto vegans, and they’re crushing it, but I couldn’t. I just couldn’t do it. Robert Santos-Prowse: Gosh, yeah. How do they maintain it? Leanne Vogel: Totally. I think of myself 10 years ago looking at what I eat now and I would think, “Oh my gosh. There’s no way that I could do that.” So I think it’s also what your body feels best at. I have a friend who eats, I think, about 100 grams of total carbs a day, at least, and she’s vegan keto. She registers a good amount of ketones. I think it’s 2.1 millimoles per liter with her blood when we test. That’s pretty interesting to kind of see that. Robert Santos-Prowse: Yeah, that’s incredible glucose disposal rate right there. That’s amazing. Leanne Vogel: Right? Yeah. Amazing. I guess it’s too, you’re talking more about the sustainability aspect and really setting yourself up for success if you’re doing Mediterranean plus vegan plus keto, I mean, there comes a point where you’re probably going to be living on kale and olive oil. Robert Santos-Prowse: Yeah. What do you have left to eat at some point? I guess avocados slathered in coconut oil, that does sound fantastic. I’ll grant you that, but it’s going to get old. I would think that it would get old. Leanne Vogel: Completely. I agree. Do you test your ketones at all? Robert Santos-Prowse: I do occasionally, but this is going to … This might sound strange, but I live in a single income household. Well, whatever. I can’t afford those ketone strips very often. The gold standard way is to test blood levels of ketones. So you need a glucometer capable of reading ketone levels, and then you need testing strips capable of doing that. Those things, at least where I’ve found them, work out to be about four bucks a piece. I just don’t do it very often for that reason. Leanne Vogel: Yeah, me neither because also stress. I mean, when you do the testing and then you look at the number and you’re like, “I thought I was so much better,” and then you compare yourself to the number before. And then you want to test more, and then you end up spending more money and it becomes this obsession of spending all this money. One of my first months I spent something like $300 on testing. Leanne Vogel: I got my credit card bill and I was like, “No.” So how do you know whether or not you’re in ketosis if you don’t test? What are some signs? Robert Santos-Prowse: I just mostly go on how I feel. I can feel a real difference between carbohydrate metabolism and ketone metabolism as far as mental clarity and energy levels. You know, it really depends on what your goals are as well. If your goal is to be hard into ketosis all the time, then yeah, you probably need to test. But if your goal is to feel good in your body or to lose weight or to regulate your cardiovascular risk factors, checking your ketone levels is not really going to give you any information about those goals. It really just depends on what you’re trying to get out of it. Leanne Vogel: I agree completely. Do you feel like there’s anything that we miss when it comes to the Mediterranean ketogenic diet or any message that you have for people that are maybe interested in giving it a whirl? Robert Santos-Prowse: I feel like I should probably say, “Buy my book,” right? I’m like obligated to say that. Leanne Vogel: Definitely. You totally are. Robert Santos-Prowse: Available on Amazon. Ketogenic Mediterranean Diet. Robert Santos-Prowse. Also available at all major book retailers if you’re about going to physical places to buy stuff. But then also really don’t … Buy it and read it and send me an email if you’re inclined, which my email address is just my name RobertSantosProwse@gmail.com. As we’ve both said repeatedly, it’s really about individualization. You take the parts of what I’ve written that you think will work for you, leave the parts that you don’t like, and test to find out how you feel best. Leanne Vogel: I couldn’t agree with you more. It’s so important to just take a step back, pick the things you like, ditch the ones you don’t, and move on and thank the person that created that piece of work for you because it’s not easy writing a book. So mad props to you on that. Robert Santos-Prowse: Yeah, you’ve done it recently as well, haven’t you? Leanne Vogel: Yeah. Would you do it again? Or are you still exhausted from the whole experience? Because your book came out quite recently. Robert Santos-Prowse: Yeah, I would definitely do it again, but not currently. Robert Santos-Prowse: I could not write a book and care for an infant simultaneously. Leanne Vogel: Yeah. Oh, I bet. Yeah. Completely, I agree with you. Well, congratulations on your new little one. Robert Santos-Prowse: Yeah, thank you. Leanne Vogel: And thanks so much for coming on the show. Robert Santos-Prowse: Yeah, absolutely. Feel free, listeners, to reach out to me with any questions or clarifications that you like. I do my best to answer emails in a timely manner. Leanne Vogel: And where can people access your website? Do you have a website? Where can people get you online? Robert Santos-Prowse: Sure. My website and my email address are both just my name with no punctuation. So, RobertSantosProwse.com, and RobertSantosProwse@gmail.com. I am also active on Instagram @RSP.RD, which would stand for Robert Santos-Prowse . Registered Dietician. Facebook as well under my name. Leanne Vogel: Awesome. Cool. Well, thanks again, Robert, for coming on the show. We will chat soon. That does it for another episode of The Keto Diet Podcast. Thanks for listening in. You can follow me on Instagram by searching Healthful Pursuit where you’ll find daily keto eats and other fun things. Check out all my keto supportive programs, bundles, guides and other cool things over at HealthfulPursuit.com/shop, and I’ll see you next Sunday. Bye!